Paula – I didn’t know you were the Dooney & Bourke police !! jjjjeeeezzz guys I just wanted a little direction, I didn’t know you were the DB police. i put one bag up on ebay and you gutted me!! I went to the blog and see you guys take this real serious. Tell Paula I may have bought these bags a few years ago in good faith, but now I can rest easier knowing the ebay police are all over me. I guess a leg up from you guys is out of the question!!! We do not visit eBay nor do we do any business there. If photos of a bag like yours appeared on our blog it was because a potential buyer sent them to us asking for our opinion. We receive many requests every day. 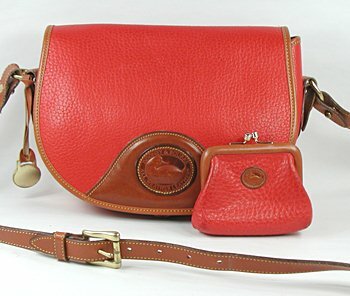 Yes, we do take authenticating vintage Dooney & Bourke All Weather Leather bags very seriously. The blog is to help both buyers and sellers know what is authentic and what is not. We would be happy to look at your bags before you list them. It is a free service. We do it just as a means to help. So yes, we would give you a “leg up” as you say !! That is the purpose of the blog. We do not go to eBay looking for fake bags. If someone sends us photos, we do not know where they come from. The photos are usually of someone’s personal bag or the photos could be from any number of sites including eBay, Goodwill, etsy and other auction and selling sites. 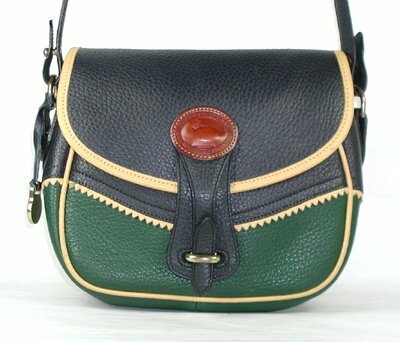 This entry was posted in Authenticity and tagged authenticity, counterfeit, Dooney & Bourke, fake handbag, knock off, knock off handbag by Native American Jewelry Tips. Bookmark the permalink.